Today I am sharing cards with you to make your children discover a special activity: yoga. The practice of yoga presents many benefits for children: it teaches them to better know their bodies and to domesticate their emotions. It gives them the keys to being focused and appeased. Moreover, it is a very playful activity! So, why not try it? 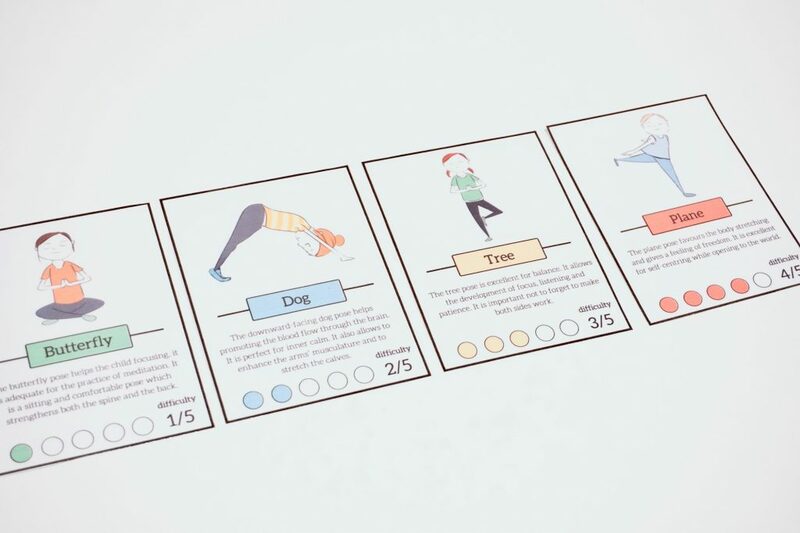 It is really easy to set up, you can decide to practise yoga with your child once a week as well as once a day (short session of a few minutes). It will become a relaxing moment of sharing. It will benefit your child and yourself at the same time! 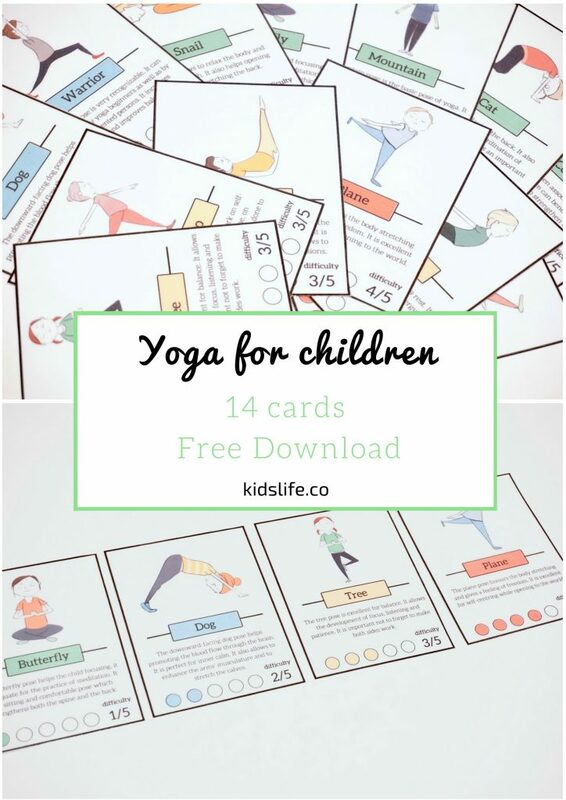 In order to help you setting up this activity, here are some cards of child-friendly poses that you can print for free. 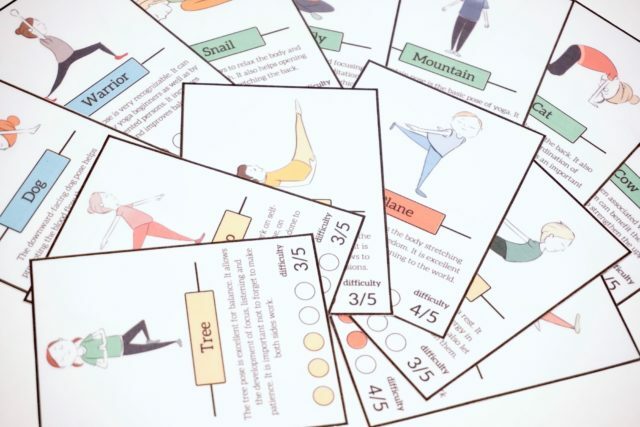 If you are interested in the yoga poses cards, please share the article in order to download the file. The link will appear afterwards. I hope that your child will enjoy this activity. See you soon for more games!